Whiplash injuries occur as the result of a sudden acceleration followed by deceleration, and the degree of injury is dependent on many factors. Some of these include: the size of the vehicle, the conditions of the road, the angle of the seat back, the “springiness” of the seat back, the position of the head rest, the size of the patient’s neck, the position of the patient’s head and neck at the time of impact, the awareness of the impending collision, etc. 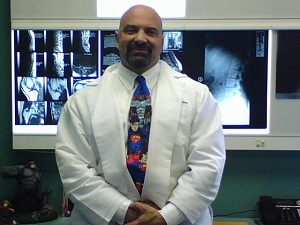 Hence, each case must be evaluated and managed using a unique, individualized approach. The chiropractic encounter begins with the history and examination. Here your doctor will ask many questions and perform tests that will give him or her clues to understand the mechanism of injury, identify the primary tissues injured, and determine the best treatment approaches to utilize. 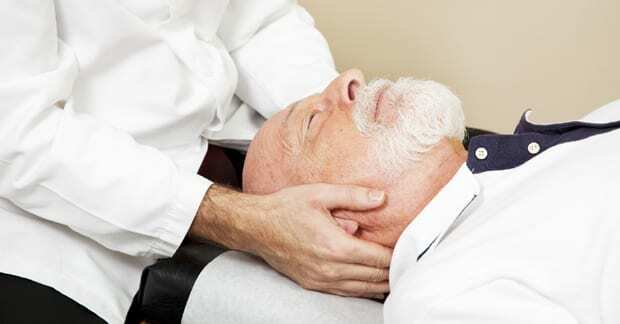 There are many different chiropractic treatment approaches available for patients with whiplash injuries. For example, manual therapies include spinal manipulation, mobilization, manual traction, muscle relaxation and/or stimulation methods, the assessment of the patient’s physical capacities with issuing specific exercises and considerations of modifying work station issues, and/or lifestyle changes. Chiropractic manipulation is a very common approach utilized in the treatment of joint dysfunction. That is, restoring normal movement to the joints affected negatively by the whiplash injury. Terms such as, “stuck,” “fixed,” “subluxation,” and the like are often used to describe altered joint position or function. Typically, the manipulation (also called “adjustment”) is applied well within the normal range of motion of the joint using a “high velocity” (or fast) movement through a short distance in the direction that attempts to correct the joint dysfunction. Because the procedure is quick and of short distance, patients frequently state, “…that felt great!” In fact, if the pre-adjustment position of the patient hurts or is uncomfortable, a doctor of chiropractic will instead use a slow, mobilizing movement. Exercise strategies are important and typically employed as soon as possible. The type of exercise is (again) case specific, but in general, exercises are initially prescribed in a manner that restores movement with as little discomfort as possible. Following the goal of increasing range of motion, strengthening the injured region with stabilization exercises, and restoring sensory-motor activity to the muscles becomes the primary focus in the management of the whiplash patient. When the intervertebral disks are “deranged” or altered, directions that minimize radiating pain are emphasized in the exercises. After careful in-office training, the patient is instructed to perform exercises at home, often multiple times a day, for stability of the spine and to re-establish motor control and movement. Ergonomic and daily lifestyle modifications are frequently addressed to avoid the possibility of the condition being irritated on a regular basis, thus interfering with the healing process. If a patient is stressing the injured area at work, job modifications can make or break the success of the management program.